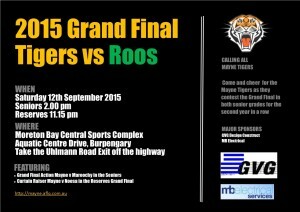 The Tigers have successfully made their way into the 2015 Grand Finals of the QFA North competition in both the seniors and reserves. This is the second year in succession for both teams, a rare feat in any level and era of football. The Tigers were able to complete the double in 2014 but can they do it again. 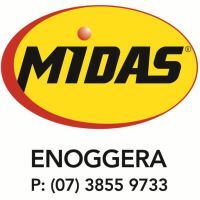 The games will be held at the Moreton Bay Central Sports Complex, Aquatic Centre Drive, Burpengary this Saturday, 12th September 2015 with reserves kicking off at 11.15am and the seniors scheduled for 2.00pm. 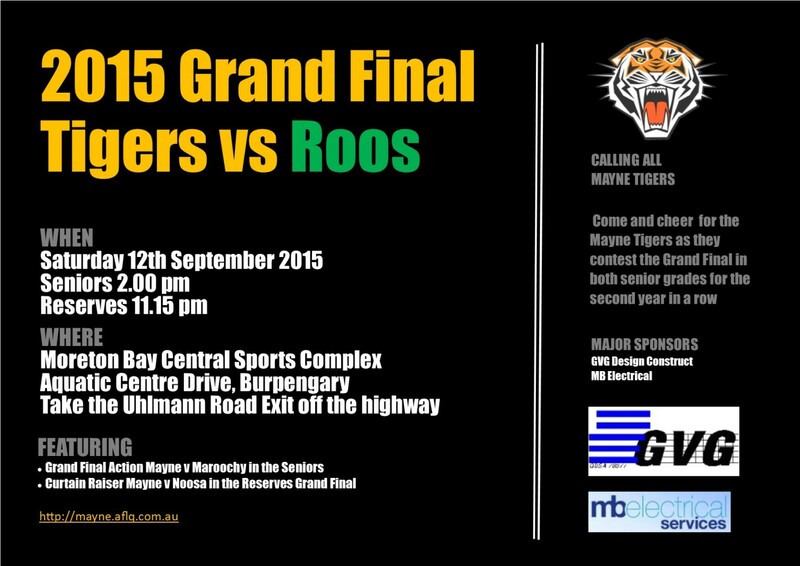 The Mayne Tigers would like to see as many family, friends and supporters, young and old as possible attend these games to cheer the black and gold on to victory. The club will be hosting a celebration of the season's successes back at the Den from 7.00pm on Saturday night, all are welcome.